Just after the holidays we took a quick trip to South America, visiting Peru and Argentina. 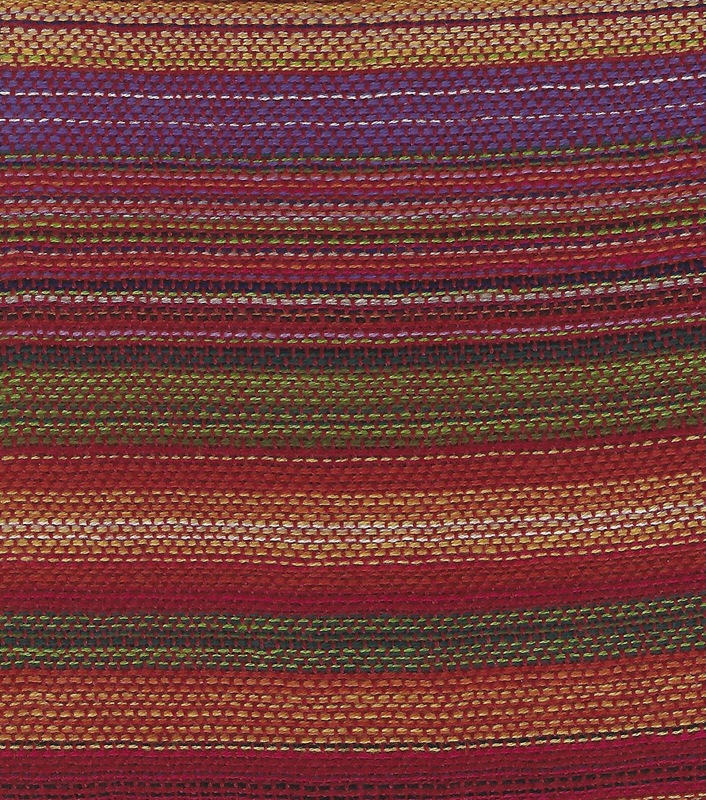 The fibers of Peru include llama, alpaca and vicuna. I discussed alpaca fiber (1/7/17 Alpaca Christmas Gift) so today we will visit the vicuna, probably less known. 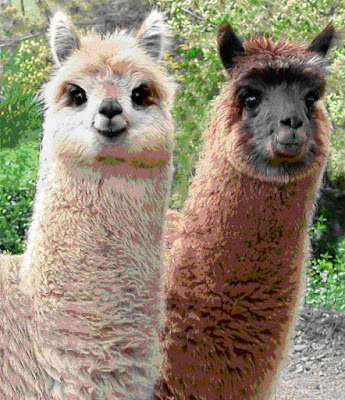 Llams, alpacas and vicunas are members of the family of camelids. The ancestors originated in the great plains of North America 40 to 50 million years ago. Approximately 3million years ago these New World camels migrated to South America. All camelids have usuable fiber, and the cinnamon-colored fiber from the vicuna is the finest and most luxurious. It is also the most expensive due to the their near-extinction from European hunters. 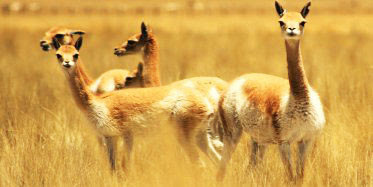 For decades the export of vicuna fiber was forbidden by international laws. With these efforts, the wild vicuna herds have increased to approximately ¼ million and the wool is being hand gathered legally. These are shy animals and the smallest of the camelids, about 150 pounds. As a Christmas gift my husband gave me a beautiful alpaca scarf woven in Bolivia. According to the hang tag. 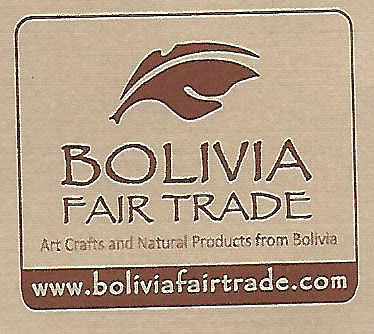 Bolivia Fair Trade “ brings hand made products to the North American consumer market from artisan groups, cooperatives and small businesses in Bolivia. 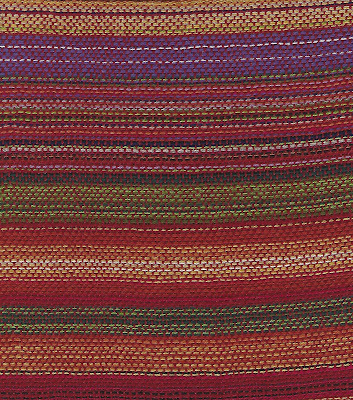 We promote Fair Trade with our purchasing practices, and we have a commitment to improve the living conditions for the people of Bolivia”. For more information contact www.boliviarairtrade.com. Alpacas are South American camelids and were first domesticated more than six thousand years ago in the Andes mountains of Peru. BY the 1500’s there were large herds of Alpaca throughout South America, but these herds were decimated by the Spanish conquest of the Incan Empire of Peru. Alpacas are bred for their fiber. Their exquisite, supple fiber is heavier when compared to wool and most fibers are white, range of browns, black and spotted..
Bolivia Fair Trade states the” Alpaca fiber is 5 times warmer then sheep wool, stronger than mohair, more luxurious than cashmere and smother than silk. The fiber is elastic, hypoallergenic…because it does not contain lanolin. The smooth cell structure, with its microscopic air pockets contributes to the creation of lightweight apparel with higher insulation value and thermal capacity than almost any other animal fiber”.